Good stuff that. I feel all inspired to fill life up with joy, because it is fleeting and meaningless. The “carpe-est” of “diems”, if you will*. I am so moved that the editor in me is not even bothered in the slightest** about the unorthodox punctuation choices. Babbage trolled Tennyson. Babbage trolled Tennyson hard. **Botheration is stastically indistinguishable from “not bothered in the slightest”, primarily due to large sample variance. ***Apparently, the original version used “minute” which Tennyson later changed to “moment”. 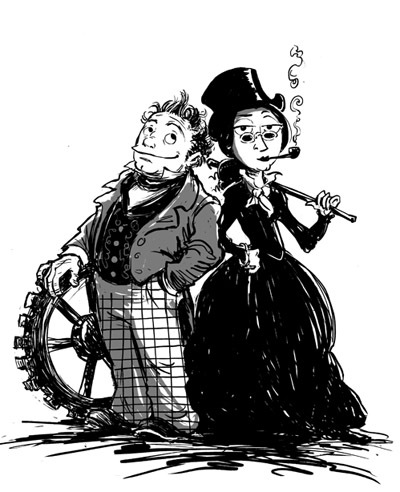 SOURCE: The Thrilling Adventures of Lovelace & Babbage by Sydney Padua , which you go and buy now. In fact, I ‘ve already judged you more than a little if you have already bought the book, read it, and been completely familiar with this story, because you read the end notes like a true scholar. What If? is the book I would have written if I was better at math and had free time*. 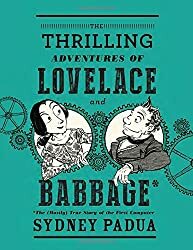 Much like The Thrilling Adventures of Lovelace & Babbage is the book I would have written if I could draw and had free time*. *This does not imply that either Randall Munroe or Sydney Padua have any free time. It merely implies that my priorities are misaligned.